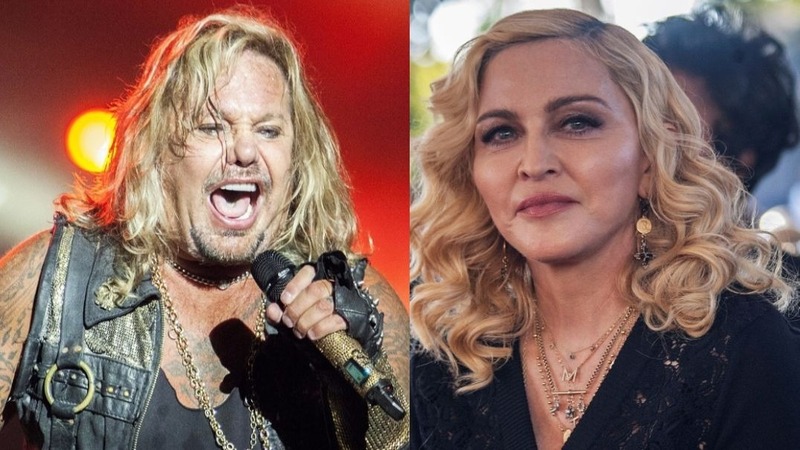 Hear Mötley Crüe cover for Madonna's "Like a Virgin"
Mötley Crüe released a cover of “Like A Virgin” by Madonna. The track is part of the soundtrack for the biopic The Dirt, which will be released on March 22 by Netflix. Bassist Nikki Sixx told Billboard that the idea of ​​re-recording the song came as he strolled with the dogs. He does this at the end of the day as part of his meditative practice. “When my mind opens like this, ideas come up,” he said. “It popped into my head, I looked up and thought, ‘Very funny”. Sixx initially felt it would be a bad idea, but then came up with a demo and introduced it to Tommy Lee. They recreated the track completely but kept the lyrics intact. “It was weird to hear Vince Neil singing “like a virgin,'” he admitted. “Like a Virgin” is a song recorded by American singer Madonna for her second studio album Like a Virgin (1984). It was released on October 31, 1984, by Sire Records as the album’s lead single. The song was written by Tom Kelly and Billy Steinberg, and produced by Nile Rodgers; Steinberg said that the song was inspired by his personal experiences of romance. “Like a Virgin” was chosen for Madonna by Michael Ostin of Warner Bros. Records after listening to a demo sung by Kelly. Rodgers initially felt that the song did not have a sufficient hook, but subsequently changed his opinion after the song was stuck in his mind.